Conveniently located in the vicinity of Amsterdam Schiphol Airport, the Quasset Test Facility (QTF) opened its doors in 2017 to facilitate the development of robotic solutions for inspection and maintenance activities. Robotic and sensor technology are continuously evolving, creating a need for agile testing and timely validation, which informs industry of the readiness and potential application of the technology. Quasset caters for this need by providing independent 3rd party assessment of technology in a highly flexible and relevant testing environment. The facility houses a range of decommissioned assets which serve to test swimming, flying and crawling robotic systems in a controlled environment. In conjunction with our consultancy services, Quasset provides valuable insights and can design specialized tests which tie in to the relevant business drivers, hereby promoting cutting-edge innovation and supporting the process from concepts to solutions. Through our own innovation efforts and domain knowledge, Quasset is uniquely positioned to provide tailored testing for many robotic and inspection systems, either developed by start-ups or offered by full service providers. Due to continued growth and in order to further facilitate experimentation and validation of robotic solutions for inspection and maintenance activities, QTF 2.0 will open its doors at the beginning of 2019. 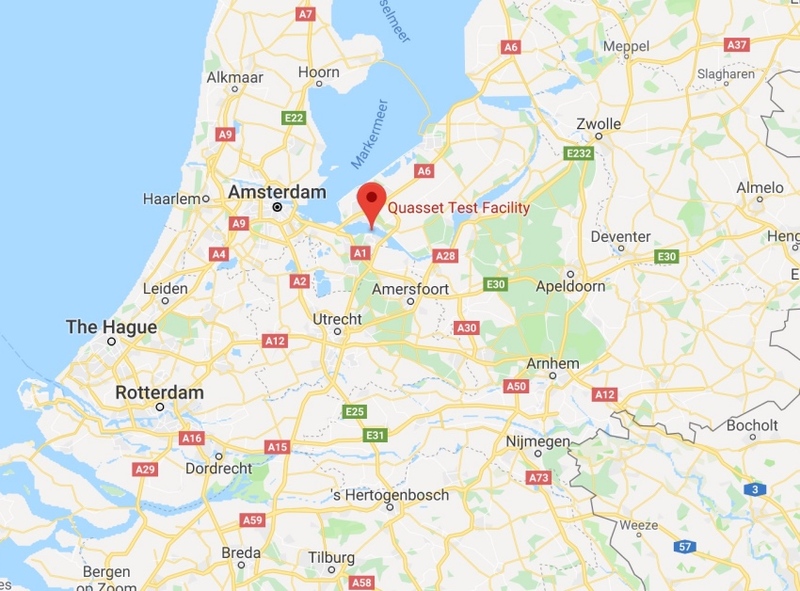 Quasset Test Facility (QTF) is located in Huizen in the Netherlands, conveniently located in the vicinity of Amsterdam Schiphol Airport. For more information about how your organization can utilize QTF, please contact Tijmen Dye at Quasset.